nuLOOM Handmade Bold Abstract Floral Wool Area Rug - 7' 6" x 9' 6"
Give your home a gorgeous touch with the Canyo wool area rug. It has an abstract, geometric design in bold brown and red that is sure to up the drama quotient of your room. 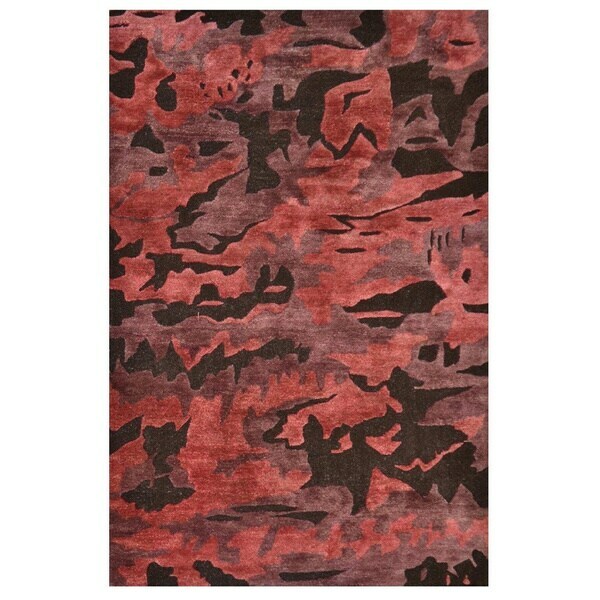 This rectangular rug has been hand-tufted and is made of superior-quality wool that makes it very comfortable.